Standing seam metal roofing systems are gaining in popularity among all roof types today. More and more, home exterior remodeling companies are starting to recommend this roofing to their clients. Let’s review some of the features and advantages which make them such a popular choice. A standing seam roof is one of the most durable types of any metal roof and is built to last. In fact, it could even withstand winds up to 140 miles per hour with the right installation. The seams of the roof are set in a vertical—not horizontal—form and raised above the roof itself. This means that a roof’s usual weakest point is well-reinforced on these roofs. Furthermore, its elevated seams stop water penetration and rust even in extreme conditions. They can be dented by hail though, or pierced by a very heavy tree limb. Still, they generally last up to 50 years in comparison to the 17 to 20 of an asphalt roof. Standing seam metal roofs are very low maintenance. Some roof replacement companies even claim their product to be maintenance-free. Generally, the only maintenance required is the occasional removal of dirt or debris. If there’s a need for repairs, you can replace the damaged panels without disturbing the rest of the roof. Each roof is different, though. So make it a point to speak to your roofing contractors and discuss the best move before taking any action. Energy efficiency is one of the foremost considerations when choosing a roofing system as it affects expenses in the long run. A standing-seam metal roof comes in lighter shades that can prevent thermal absorption. Thus, it’s dubbed as a “cool roof” by the U.S. Environmental Protection Agency. This roof can help reduce your utility costs for a more energy-efficient home. Turn to Triangle Home Exteriors for professional roofing and siding contractors. 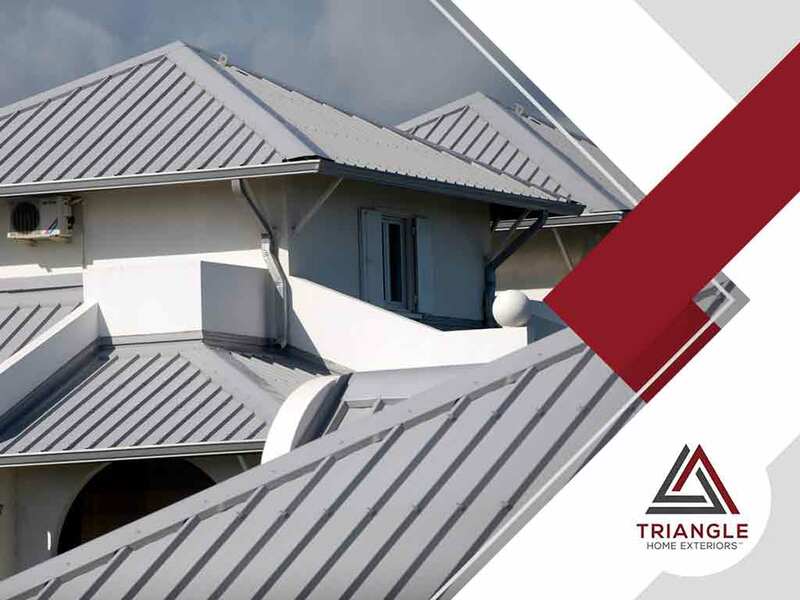 We’ll install your standing seam metal roof with the best materials and workmanship. We’ll be happy to serve you in Raleigh, NC, and nearby areas. Call us at (919) 436-3200 for your FREE, no-obligation consultation.